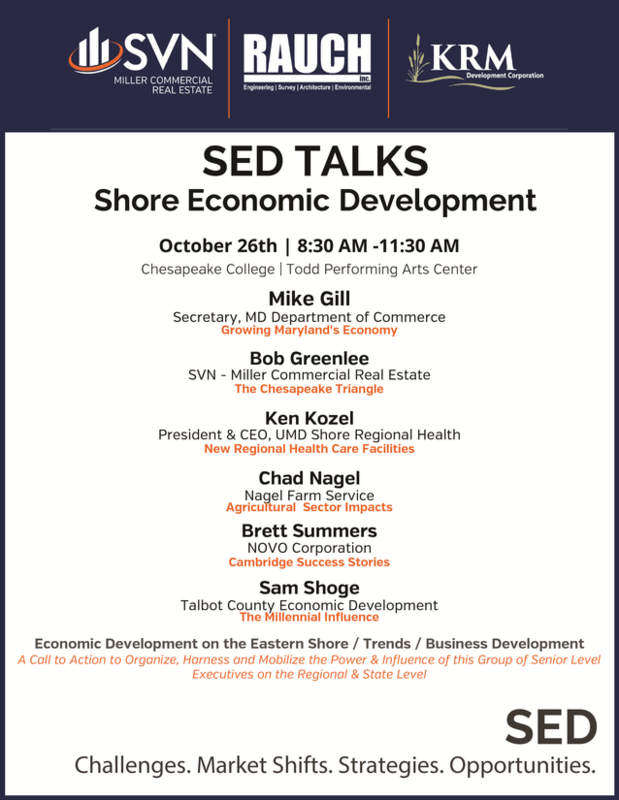 Join fellow Eastern Shore business leaders, entrepreneurs, influencers, and innovators for the inaugural SED Talks Conference. Maryland Department of Commerce Secretary Mike Gill will kick off the conference which will feature interesting, dynamic speakers offering insights, trends, success stories, and business strategies relevant to Maryland’s Eastern Shore. Speakers include Ken Kozel, President and CEO of Shore Regional Health, who will discuss new regional healthcare facilities and Chad Nagel, Nagel Farm Services, who will talk about agriculture’s impact here on the Eastern Shore. A continental breakfast will be served at 8:30 and the program will begin at 9:00 am. The event is free and open to the public. Click the link below to register. Attending the Mayor’s Prayer Breakfast? Please join us at Chesapeake College for the event after the Prayer Breakfast is finished.